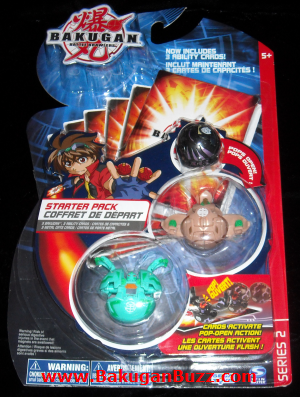 Starter packs have been the introductory packs of each series. 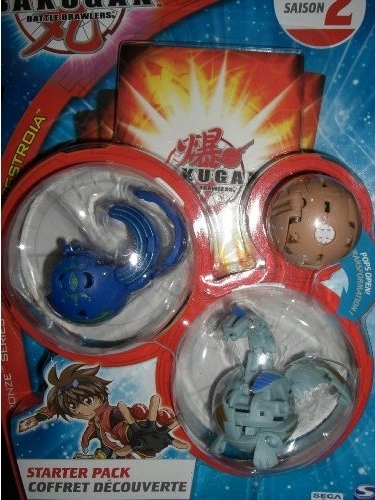 This was so with the original Bakugan series 1 and 2, and so it goes on with the succeeding series. 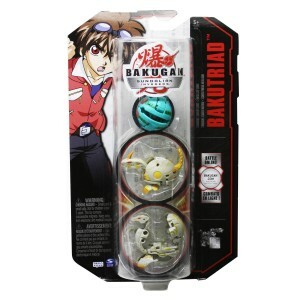 The Bakugan balls in the packs used to be 28mm in diameter. 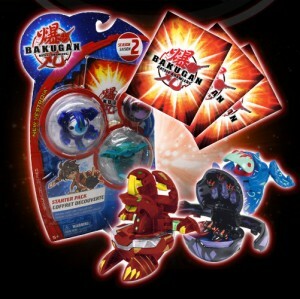 But starting with the BakuPearl series, the balls became bigger, sized up to 32mm in diameter. 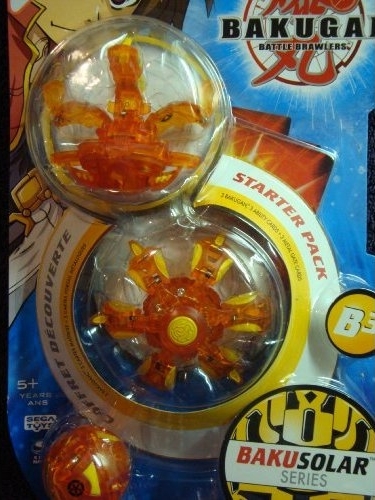 This was the start of the B2 series, B2 meaning "Bigger Brawlers." 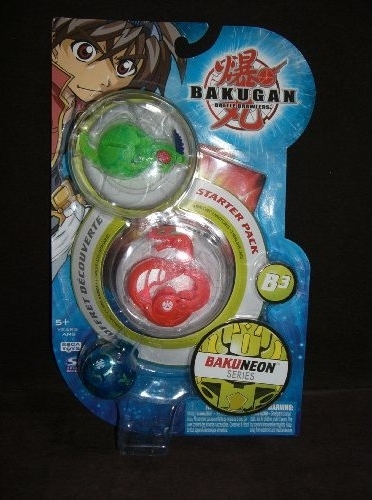 Since 2008, more Bakugan starter packs were released. 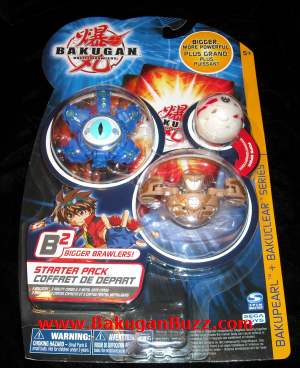 The new packs introduced the Bakugan from the second anime series, Bakugan: New Vestroia. 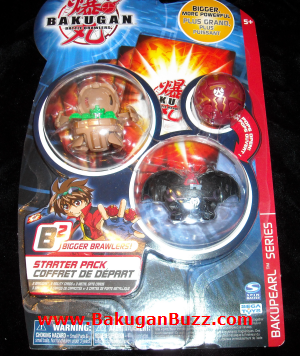 The packs are labeled by series on the left side of the pack. 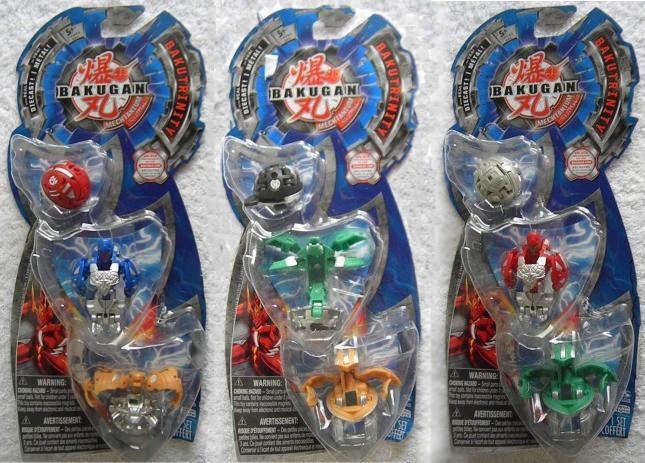 The B3 Series came out with the next set after the BakuSteel series. 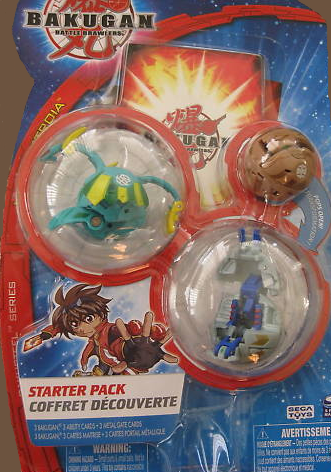 The B3 series brought about starter packs that had different packaging for specific kinds of Bakugan. 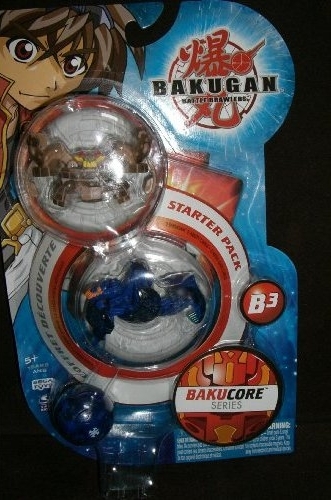 The names of the B3 series highlighted the different kinds of Bakugan. 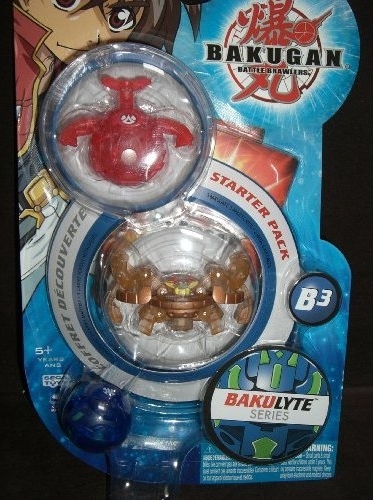 The BakuCore series, for example, include only regular Bakugan, the B3 BakuSteel series only Steel Bakugan, and the BakuCrystal series only Crystal Bakugan. 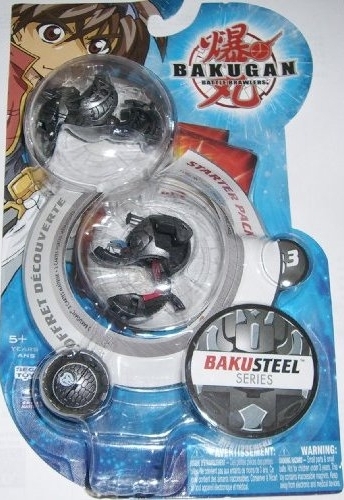 You can tell the difference between the B2 BakuSteel and BakuNeon series and the B3 BakuSteel and BakuNeon series through their packaging. 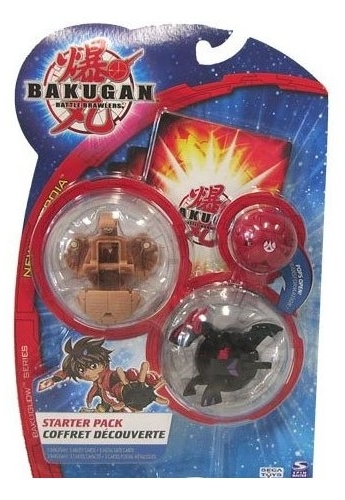 The most recent Starter Pack is the BakuTriad, the starter pack of the Gundalian Invaders series. 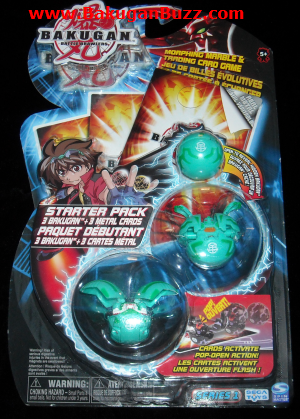 The pack still contains the usual 3 Bakugan balls, 3 Ability Cards, and 3 Metal Gate Cards. But there was a change in the design of the pack. From blue, the pack now is colored black with red and white letters. 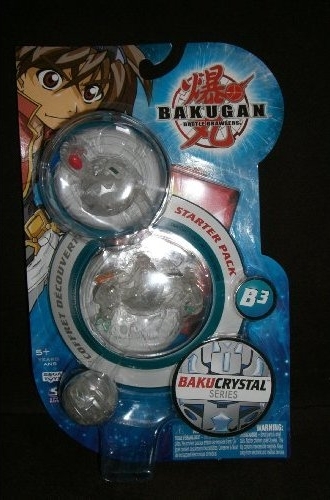 The BakuTrinity is the starter pack of the fourth season of the Bakugan series, Bakugan: Mechtanium Surge. The color theme of the packaging was changed back to the blue-dominant one like the packs of seasons 1 and 2. 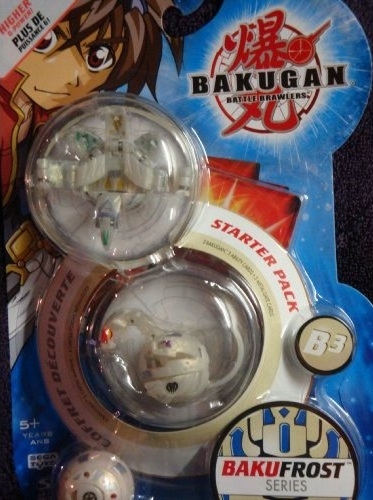 You can then add to your starter pack the Bakugan Battle Packs and Bakugan Booster Packs to get you more into the game! 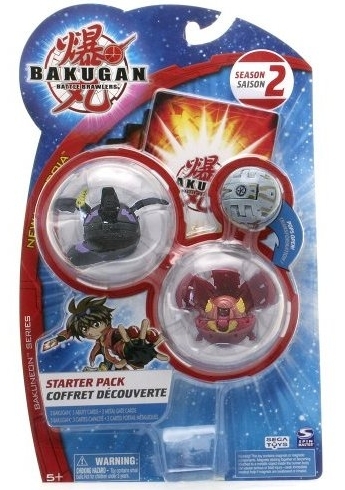 These Bakugan packs will be your start in collecting more Bakugan and playing like a Bakugan Battle Brawler. 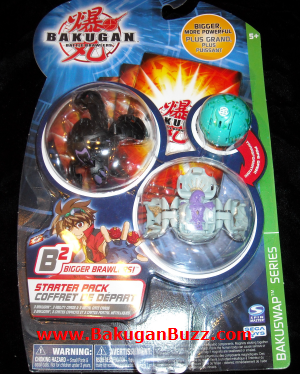 Find out more on how to get started and how to play Bakugan. 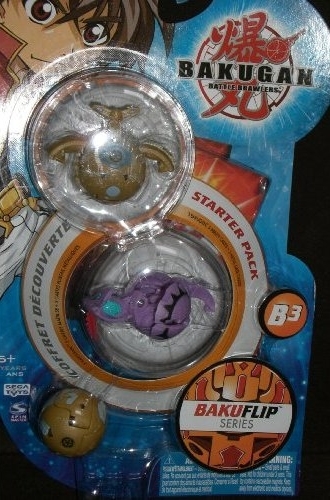 Below you can purchase your Bakugan Starter Packs.